We now continue our discussion of Red Dwarf, the BBC SciFi comedy that ran from 1988 to 1999. The last human, Dave Lister, is revived after three million years in stasis. His dead bunkmate, Arnold Rimmer, is revived as a hologram. The humanoid creature that evolved from Lister’s pet cat doesn’t need to be revived at all…. We mentioned the Region 2 DVD releases for each season. These are the ones with all the extra features. The creators of Red Dwarf claim that the fictional expletive smeg has nothing to do with the real word smegma…. What are your favourite Red Dwarf moments? What should we have said that we missed? 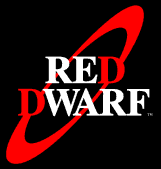 What do you like/dislike about Red Dwarf? If you send us lots of email, we may record a bonus episode full of Red Dwarf feedback. Red Dwarf was a BBC SciFi comedy that ran for eight seasons between 1988 and 1999. Revived after three million years, Dave Lister is the last human alive. He is joined by a hologram of his dead roommate (and nemesis), a creature evolved from his cat and a senile computer…. We talk about some upcoming sequels and remakes, and about some feedback from our listeners. Feedback from our Listeners! We also cover some upcoming CD and DVD releases and more. A new fan-made animation of a trailer for Doctor Who: The Web of Fear is available at http://www.youtube.com/watch?v=HRBWOTFNotM Only audio remains from the original 1968 trailer.